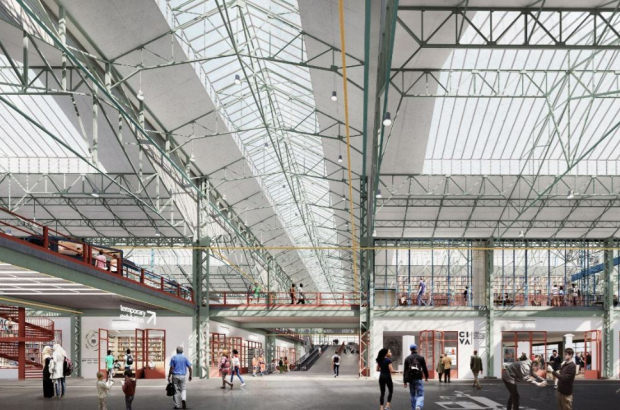 These are some of the first images of how Brussels' new cultural hub will look, following the conversion of the vast Citroën Yser garage site under the new name Kanal-Centre Pompidou. The new centre will include a Museum of Modern and Contemporary Art, an architectural centre (Civa Foundation) and public spaces devoted to culture, education and leisure. 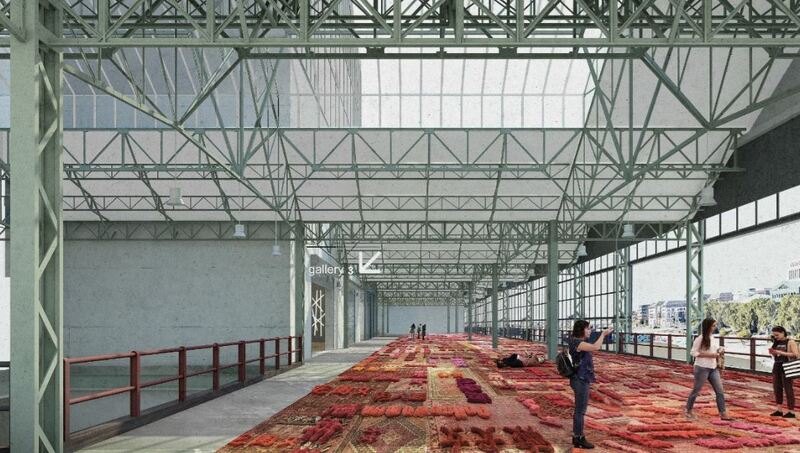 Kanal-Centre Pompidou will open its doors on 5 May for a prefigurative year. Over 13 months, the centre will propose a multidisciplinary programme to fill the vast spaces that were recently stripped of their functions that will allow the public to discover a wide-ranging and brand new cultural offer. The actual construction work will start in mid-2019 with expected completion in late 2022. 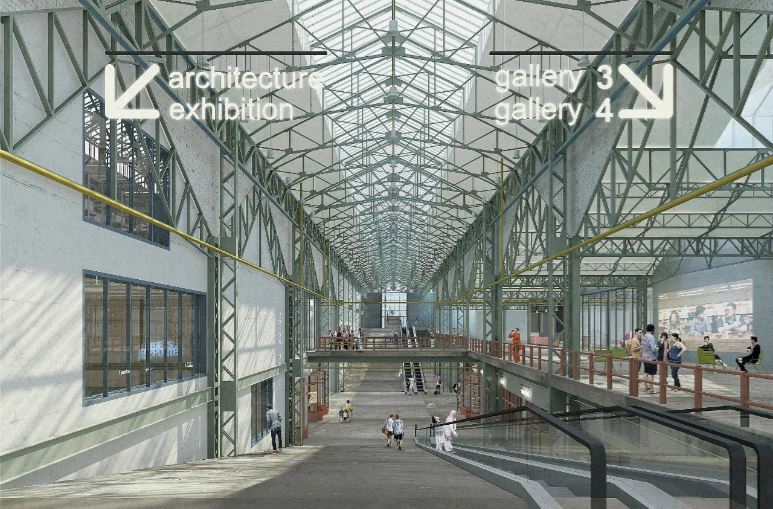 The centre will be open to the public continuously throughout the prefigurative and construction periods so that the people of Brussels can make it their own and feel at home in it. A joint architectural project by noAarchitecten (Brussels), EM2N (Zurich) and Sergison Bates (London) was unanimously selected. The jury lauded the project as being "exceptionally well integrated in its context", highlighting all the iconic elements of the existing architecture. With the removal of floors added over the years, the former showroom will be restored to its original height and will be the centre's "display window" with installations, performances and concerts and a rooftop restaurant and terrace. 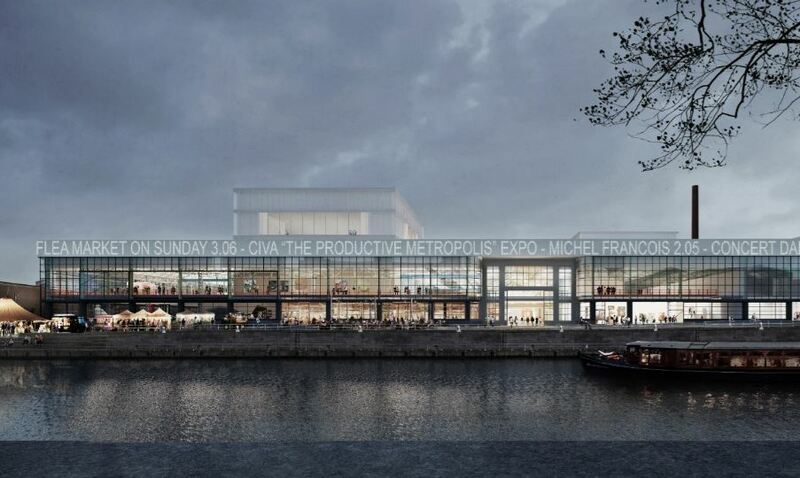 In the former workshop portion of the complex, a transverse "street" will cross the 35,000m² site giving access to the museum, the Civa foundation and a 400-seat auditorium. "We’re interested in how Kanal can become a melting pot for the production of art in the broadest sense, material, immaterial, performance or object-based. "There are four entrances leading to wide 'streets' within the building. They give a sense of porosity, they’re big scale, they contribute we think to a sense of personal security. You can be anonymous when you enter, unless you want to be seen, unless you want to show something."